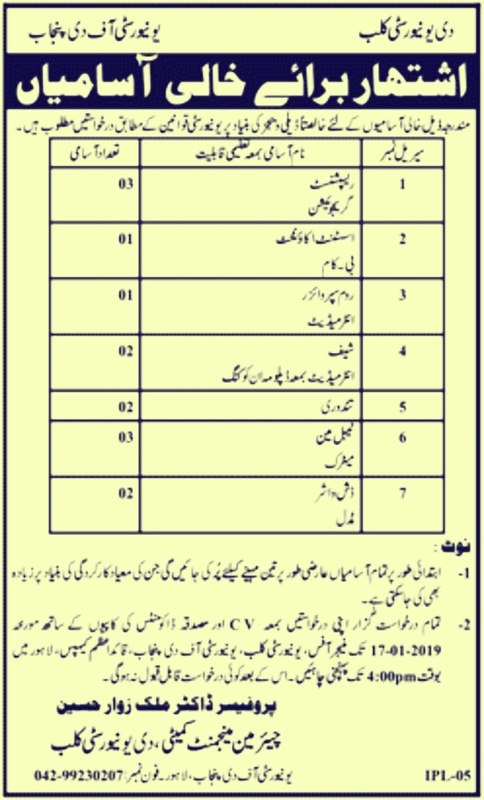 Again, Punjab University has announced new jobs in The University Club.Your education must be Matric to BA,B.com,FA to apply for the job of PU Lahore.PU Lahore can apply both male and female in the job The University Club.More than fifteen jobs have been announced by PU Lahore 2019.University of Punjab Jobs is a place to work in Lahore. In this job both boys and girls can apply. All applicants, your CV and the necessary documents send Manager at University University.